It might be copyright issue . Where are U located ? Well artists content can be available only partially sometimes . Can you share the songs that are missing ? I will check on my side as well (However I'm living i Israel so it might be available here). ah, somehow I missed this thread! Sorry about that I can confirm that this is due to country specific rights. We don't have the licences for the track in your country at the moment. But we are updating our catalogue regularly and I will let the music team know that would love to have the track! Hopefully it can be added very soon! I was on vacation in Bazil when my friend convinced my brother and I to subscribe to deezer. I subscribed when I was I Niger for work a month later (in my off times) and my brother did subscribed while in Brazil. Now I try to listen to an artist "Booba" new album "Trône" and I am not able to. I do see the album when I seach for it but cannot play any tracks "This track is not available in your country"
My brother on the other hand is able to play full abum no problem. i have deezer hifi but cant play some songs why? if hifi is not like Premium + can yo make it do the same thing plz ? Hi @Max_x57 , HiFi is similar to Premium+, the difference is that you can listen to your songs in Flac quality, not only HQ. Please give us a bit more information abou what is happening exactly. Are you traveling and you can't access your playlist? Also, do you see any error message? as you can see im using deezer hifi but this song is not available in my country. why? I live in 2 countries. During the week in Germany and in weekends in the Netherlands. Hello, when using this app occasionally some of my tracks will gray out for no reason for long periods of time, and then out of nowhere return with no context. In my favorites playlist (on the newest version of IOS) about 30 or so songs are greeted out. Not only is the fact that I can’t listen to my music for no reason infuriating, whenever I try to choose a song directly from my playlist it skips 30 songs forward, so it’s extremely pesky trying to choose a song. This problems not new, as tracks would become unavailable when I had an android phone for no reason at all. I’m hoping that deezer could fix this problem because the music is definitely available in my country. Streaming rights are also defined by territory. 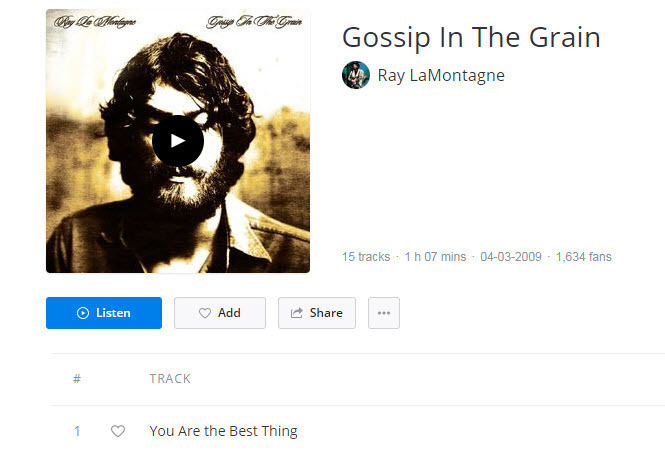 The tracks that appear in the search box when you are looking for music are the songs that are available in all territories. 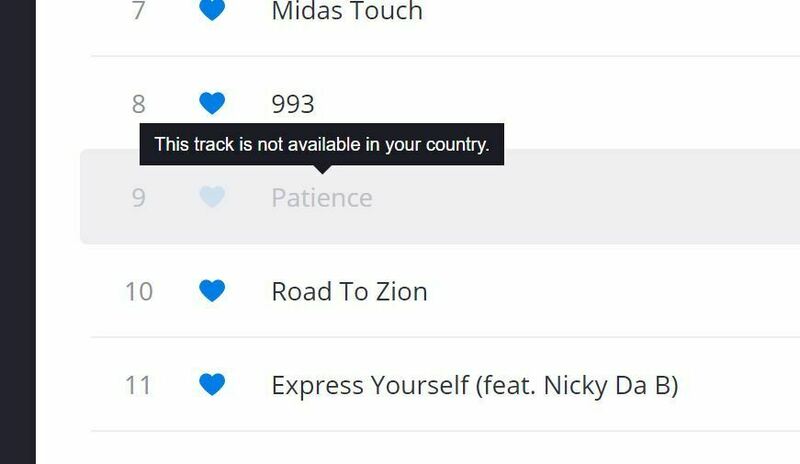 In a small number of cases a user in a different country may not have access to different tracks so an "unavailable in your country" message appears when they try and listen. Could you please give me an song as an exemple? I can check it in our system. months ago i had same probleme. I've recently noticed that a lot of the tracks which I have in my playlists have been grayed out. Many of them were in my Favorites list as well. The reason - "This track is not available in your country".... and that's for tracks which I had in my playlist for years. So what's the use of a paid service which constantly cuts what it offers? And the cuts are made just because I live in a certain country, which is discriminatory at least. Now, I know that there are copyright fees to pay and that each country has its own rules and regulations and each publisher a fee for a certain market. But if you are offering something for years, if I choose to pay for what you have to offer, then I must consider my alternatives if you start removing content. The other issue is communication: I haven't received any notification or a forward notice that the tracks will be removed. Not even an in-app popup message. That's a basic communication with a customer which is missing. Bottom line: Improve communication, keep the quality and usefulness of the service or I'm gone. Hi @nikoladstojiljkovic , please see the answer above We have about 40 million songs on Deezer and sometimes the right holders remove them for a while. It's a lot of songs, it's not easy to email millions of users and let them know that they songs will be removed, sorry. Therefore we grey out the song and we leave the message on the songs saying that "This track is not available in your country" Please see above. Hi @Rafael. I understand that. As a software architect I know how much resources is needed to mail millions of users (yes, it's a lot... especially if you take into account mails that bounce or can not be delivered, spam filters on different mail servers, reliability of mail delivery services, even government censorship in some countries). However, there is a simple workaround for that - notification system within Deezer application which can display service announcements when a user is logged in. For example, a notification can be added when an album which I have saved becomes unavailable in my country - or even better when it's planned to become unavailable (if that information is available). The grey out feature is great, on the other hand. At least the songs are not disappearing and I know what's missing and where (in which playlist). But I am still disappointed with how online services in general are treating my country when it comes to the availability of their services. Hi @nikoladstojiljkovic , please don't be sad! Your suggestions is actually pretty good! Specially to let the users know that the song is back! We have this forum here called Got An Idea and I think it would be great if you could always write your ideas there. Our devs are watching us there and hopefully they will be able to work on it some time soon! Hi Martbuckle, are the songs greyed out? If so, we don't have the rights for those tracks in your country at the moment. If they are not greyed out, are you getting an error message and on what device does this happen?